The recent announcement that Venezuela’s inflation rate is now the highest in all of Latin America is just the latest in a series of setbacks for a nation that earlier this year was roiled by massive protests. In line with the mood on the streets, a new Pew Research survey finds that more than three of every four Venezuelans (77%) think the country is headed in the wrong direction. Yet despite mounting public frustration, the late Hugo Chávez’s successor as president, Nicolás Maduro, continues to enjoy as much public support as the political opposition. Venezuelans are clearly worried about the economic situation in their country: a 71%-majority in the poll describes the economy as bad. Meanwhile, more than eight-in-ten say rising prices (89%) and a lack of jobs (83%) are very big problems. Crime (86% very big problem) is the only other problem seen in such a dire light. 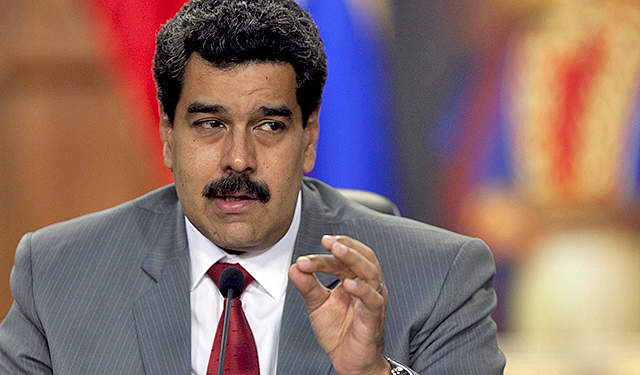 The public clearly has doubts that President Maduro is the right man to get Venezuela back on course. A majority (57%) in the poll says the president has a bad influence on the country’s direction, compared with 40% who say he has a good influence. By a 55% to 44% margin, Venezuelans also say they are dissatisfied with the overall political system. Fortunately for Maduro, the political opposition seems ill-positioned to take advantage of the public’s frustrations. Barely a year after opposition candidate Henrique Capriles fell short in his effort to win the presidency from Maduro by less than one percent, most Venezuelans (52%) say the opposition has a bad influence on the country’s direction – nearly on par with Maduro’s negative rating. Meanwhile, only six percent of Venezuelans say they sympathize with one of the individual parties or blocs that make up the opposition. By contrast, a third of Venezuelans (33%) continue to identify with Maduro’s United Socialist Party of Venezuela (PSUV) – little changed from last year (36%). At least for now, it seems that problems with crime and the economy – more than the political opposition – will remain Maduro’s main challengers.